Litterbox.com All Natural Clumping Litter is simply sun-dried sodium bentonite—a naturally-occurring clay from the plains of Wyoming. Sodium bentonite naturally exhibits many of the scent-trapping properties of baking soda and the dried clay is screened for ideal particle size to reduce dust. It’s naturally unscented, odor-trapping, hard-clumping, non-tracking, and it's 99% dust-free. 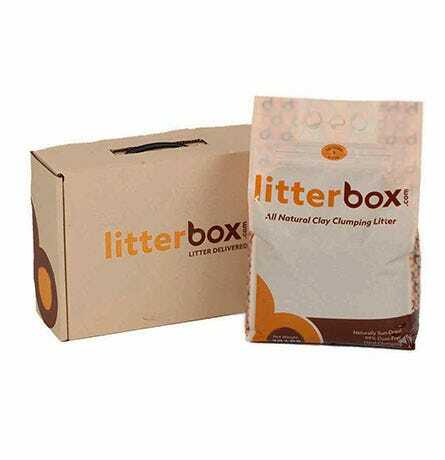 Litterbox.com All Natural Clumping Litter is simply sun-dried sodium bentonite—a naturally-occurring clay from the plains of Wyoming. It’s naturally unscented, odor-trapping, hard-clumping, non-tracking, and 99% dust-free. Sodium bentonite is a clay known to exist in only Wyoming, South Dakota, Montana, and the surrounding areas. It was created when volcanoes in Yellowstone and Idaho erupted. The ash settled into inland seas, and over time, created the clay we know today. Sodium bentonite naturally exhibits many of the scent-trapping properties of baking soda. The dried clay is screened for ideal particle size, reducing dust. Therefore, there is no need to add chemicals or scents. Most litter brands use coal-fired dryers. Flash drying hardens the texture and degrades the quality. 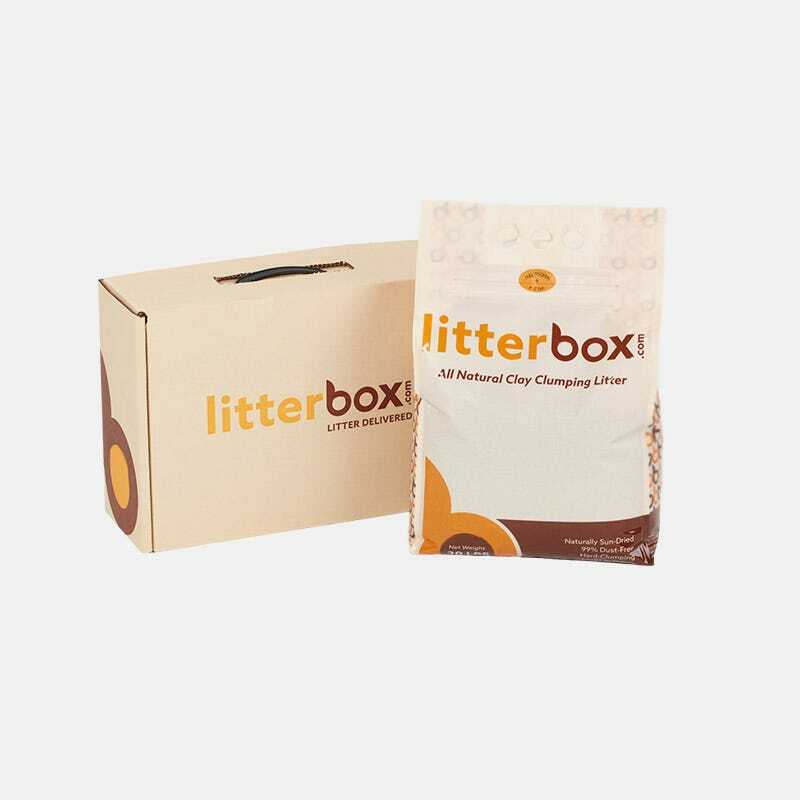 In contrast, Litterbox.com All Natural Clumping Litter is slowly sun-dried, making the litter much softer and preserving its powerful odor-absorbing and clumping qualities. Litter is shipped separately via USPS. Free shipping to the contiguous 48 states. Shipments to Hawaii, Alaska, and Puerto Rico will incur additional shipping costs based on destination zip code, package weight, and volume. We will provide this rate at checkout.